Throughout the 1980’s and 1990’s every Queensland member of the Kodaly Music Education Institute of Australia, and almost every member in Australia, knew or knew of Lenore Bateman of Brisbane, and of her contribution to music education in general and to KMEIA in particular. Lenore was the devoted wife of Bill, loving mother of Peter and Paul, and proud grandmother of six grandchildren. Lenore Bateman was the Foundation President of the Queensland Branch. She then served KMEIA in a range of positions for over two decades, as Queensland Vice-President to Judy Johnson from the early 1980s and as State President in mid-1991, a position she held for five years. Lenore became Vice-President again, this time to Astrid Schummy. 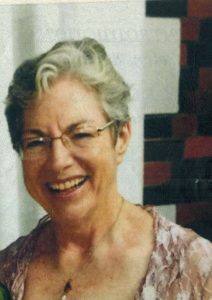 During her seven years as Editor of the Queensland newsletter, Lenore became known to most members of KMEIA, not only throughout the state but also in other parts of Australia. She was computer literate long before most of us knew how to use this new technology, and with the combination of her computer skills, her writing style, and her determination to find interesting content, Lenore consistently produced newsletters of excellent quality. Before completing a BA(Mus) at the University of Queensland as a mature-age student (married and with two young children) Lenore had taught secondary Maths and Science for thirteen years, at schools in Sydney, Brisbane and Rockhampton. She was an extremely well-read person on many topics, and brought this depth and width of knowledge to her music education career which spanned various sectors of education. As outlined in a newsletter article from 1984, Lenore conducted the first Music for Children classes in Brisbane, for what was then called KEIA. She then taught primary and secondary classes at two well-known boys’ colleges – St Joseph’s, Gregory Terrace, and St Laurence’s, South Brisbane, and was the co-author, with Ian Dorricott, of two books which evolved from their own teaching experiences. The World of Music (Books 1 and 2) are excellent and proven resources for middle and upper primary grade classes. Lenore’s extraordinary contribution to the Kodaly Music Education Institute of Australia was given without any thought of personal gain. She was a wonderful music educator who exemplified what is best in the Kodaly philosophy, and a constant reminder of all that is beautiful in the pursuit of music education. Lenore Bateman’s work for KMEIA truly was a labour of love and she will always have a special place in our hearts, and in the history of KMEIA.